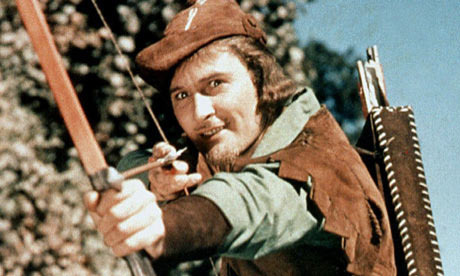 5 comments to Who was Jesus – I Say Jesus was Robin Hood! Great post , Thank you! Spam is not tolerated here but when done so overtly sometimes we just mock it to prove a point! I appreciate your thoughts. My turn to Deism came through my biblical studies with an eye toward a church pastoral position so you might say that I am somewhat well versed in the Biblical story. Your logic regarding the amalgamation is, in my opinion, slightly flawed but of no real consequence in the grander scheme. To claim that Jesus was a combination of characters would be like saying that Abraham Lincoln was an amalgamation because most of the legends written about him weren’t written until years after his death. Jefferson, also in my opinion, had the right idea. When you remove the “sales pitch” from the New Testament what is left is a wonderful treatise in morality. It is one of the greatest and grandest lessons in morality that has ever been compiled. Jesus hung on the cross for a very short time – much shorter than usual. He was given something to sip while hanging there and very soon afterward, “Gave up the ghost”.Hmmmm!!! He was removed from the cross and the body was given into the care of an important man, Joseph of Arimathea. After being placed in a tomb, Joseph returned to the tomb with a large quantity of, according to St. John, aloes and myrrh. 1. The mixture was used as an outdated (even in Jesus’ time) embalming solution in Egypt – Replaced by better mixtures by the Egyptians many centuries prior to the birth of Jesus. Plus, Jews don’t embalm their dead… Not then – not now. 2. The mixture is a wonderful antibiotic and was used to treat horrendous battlefield wounds. Or, perhaps, the wounds from a severe beating and crucifixion. So, I have no problems with the person of Jesus. He was a very brave man who stood against the illogic of the “powers that be” of his time and paid a horrible price for his disobedience.Once again I’ll express my opinion – Jesus was a wonderful Deist. His lessons were way ahead of his time, hence the need to eliminate this heretic, and his logic was flawless regarding his moral lessons given to a superstitious people. You made some excellent points( for whatever it’s worth, I came to deism by reading the work and arguments of Thomas Paine) regarding the person of Jesus. I’m not that sure that he regarded himself as God, though. I do think he wanted to emphasize God’s paternal nature and in that sense, I guess we are all ” God’s children” ( including non- sentient life such as canines, felines, other primates, rodents and raptors). The Bible does have useful lessons contained therein and should be valued for that ( though not always taken literally. I don’t think that God is a sadistic sheikh who demands the annihilation of entire ethnicities, for example), although certain ‘ visions’ should be accepted as subjective dreams that mean little to nothing to anyone except the dreamer. This, of course, is my own opinion. I get as much out of reading Paine’s ” Age of Reason” as I get out of reading the Bible. Any literature with moral insights should be read and appreciated. Do you know the story of the “Jefferson Bible”? I think so. Thomas Jefferson took all of Jesus sermons and the biographical elements contained in the gospels, then he cut out all of the mythological elements and voila! The Jefferson Bible!